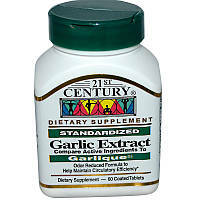 21st Century's Garlic Extract provides a maximum concentrate of allicin thought to be responsible for supporting cardiovascular health. 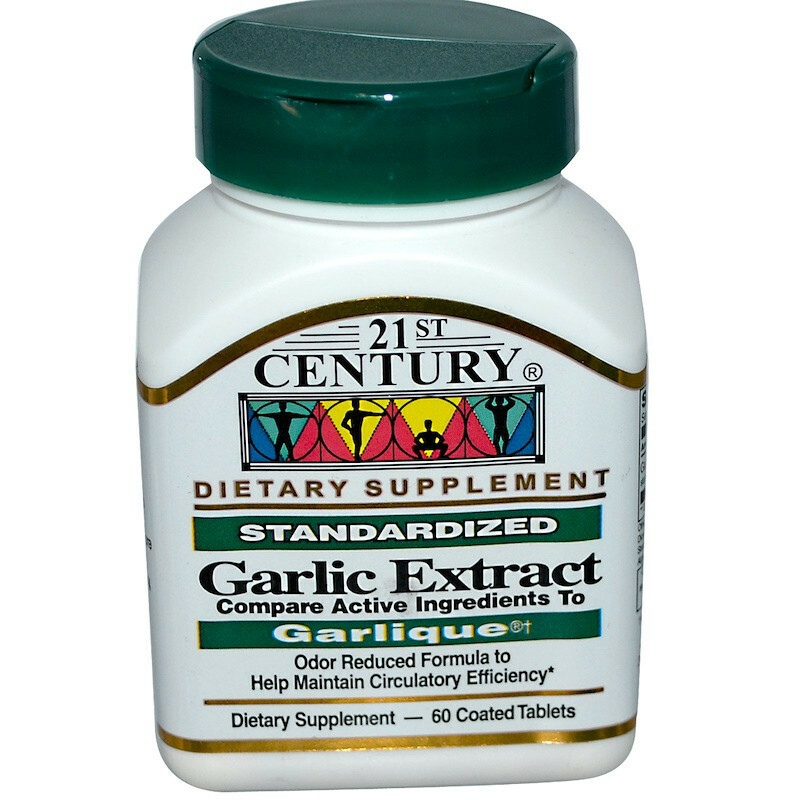 21st Century's standardized herbal extracts are thoroughly tested to assure specific levels of the important active ingredients are present for maximum benefit. 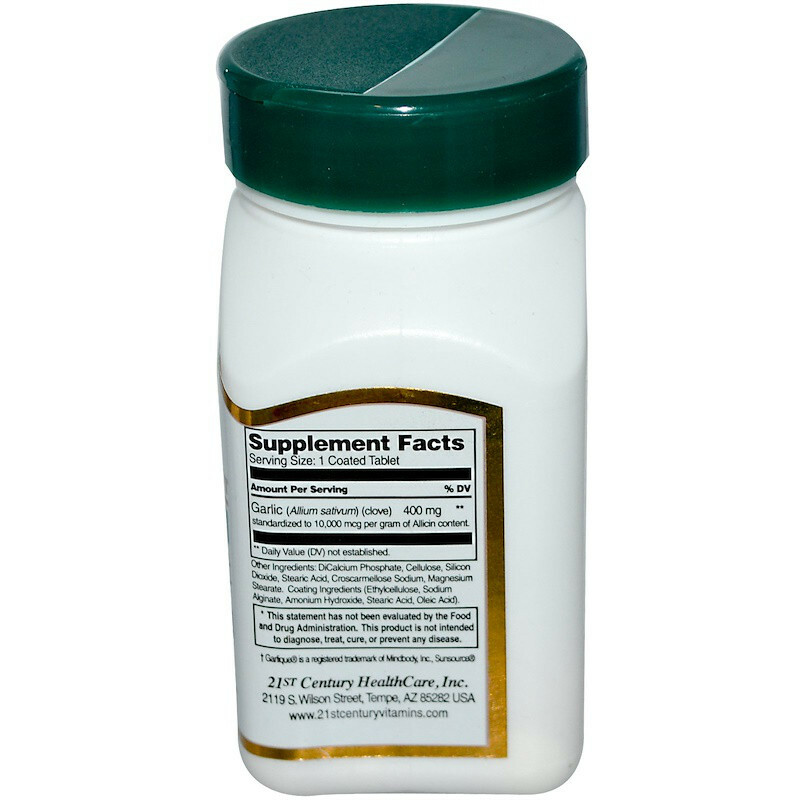 Take up to two (2) coated tablets daily with any meal for maximum daily results, or as directed by your healthcare provider. Do not exceed recommended dosage. Фосфат дикальция, целлюлоза, диоксид кремния, стеариновая кислота, натрийкроскармеллоза, стеарат магния. Покрывающие ингредиенты (этилцеллюлоза, альгинат натрия, гидроксид аммония, стеариновая кислота, олеиновая кислота). Количество в упаковке 60 Coated Tablets шт.